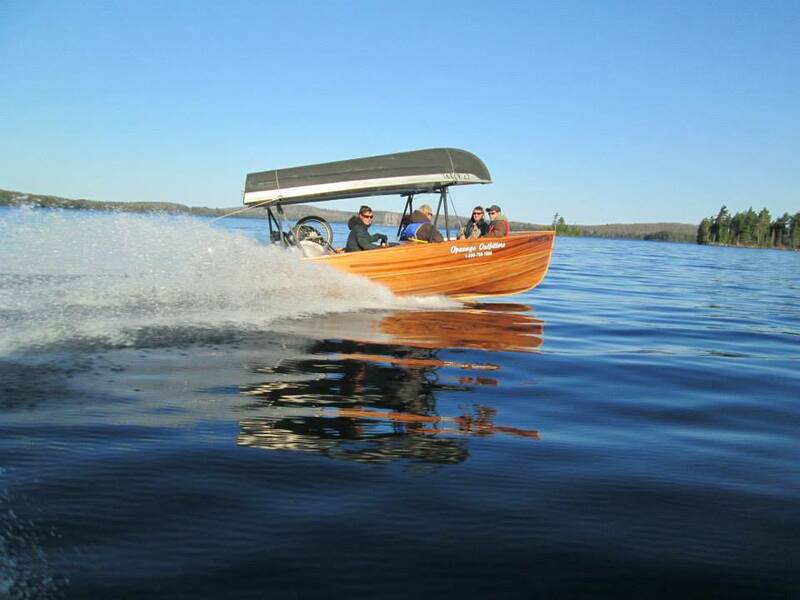 Opeongo Outfitters has been operating the water taxi on Opeongo Lake for more than 80 years. We use only 19 ft. Cedar-Strip boats, which are locally handmade, specially for Opeongo Outfitters, by B. Giesler and Sons. These unique boats are lightweight, tough and are a very nice and smooth riding boat that can handle six people, three canoes and all of your gear in one load. For big groups, such as schools, churches or scout groups, we have four boats available for all your water taxi needs.